← I Love Those Earrings! 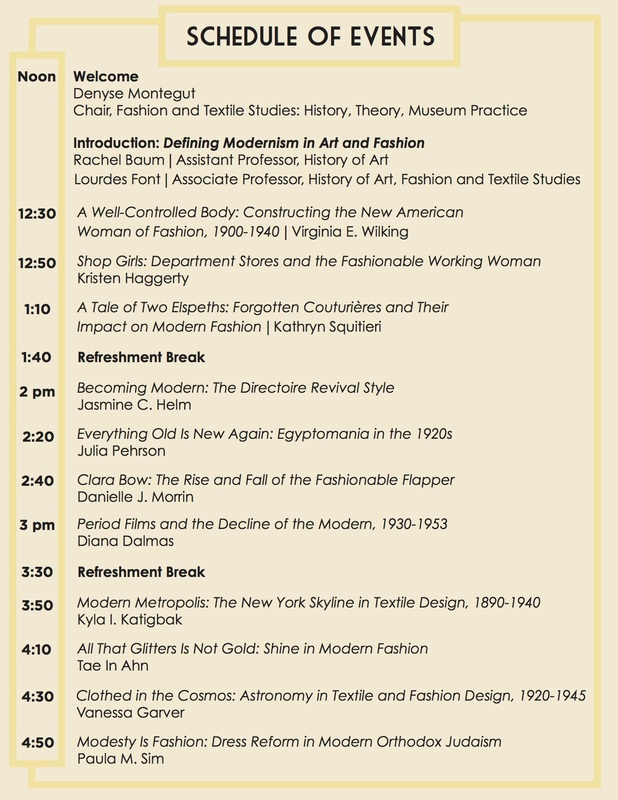 We are so thrilled about the topic of this year’s annual symposium organized by the students of FIT’s MA program Fashion and Textile Studies: History, Theory, Museum Practice. 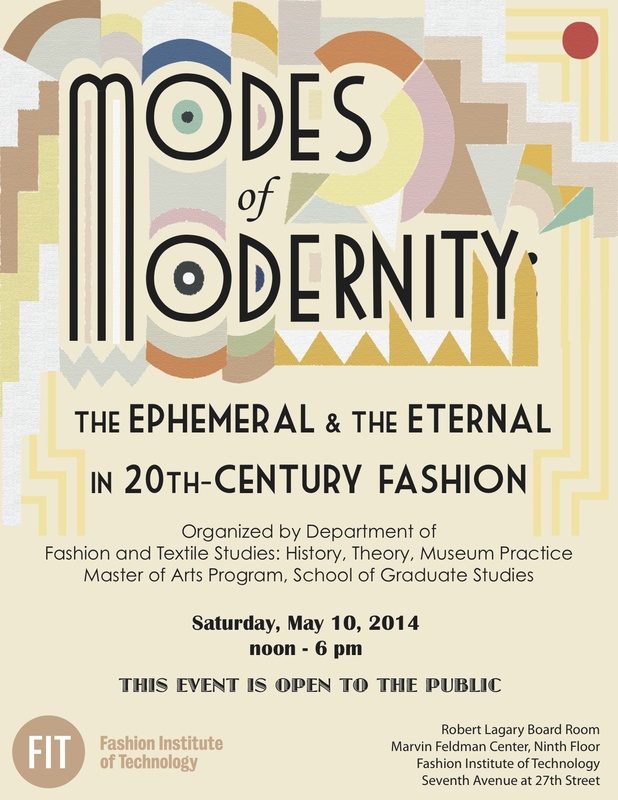 The students will explore modernity and modernism in 20th century fashion in eleven fascinating papers. The event is free and open to the public. This entry was posted in Symposium and tagged 20th Century Fashion History, Clara Bow, Costume Design, modernism, New York, Period Films. Bookmark the permalink. stumbleupon everyday. It’s always exciting to read articles from other authors and use something from other websites.